Sperm Whales - Physeter Macrocephalus, Kaikoura, New Zealand coast. Sperm Whales are the largest toothed whale, and has the largest brain of any animal. 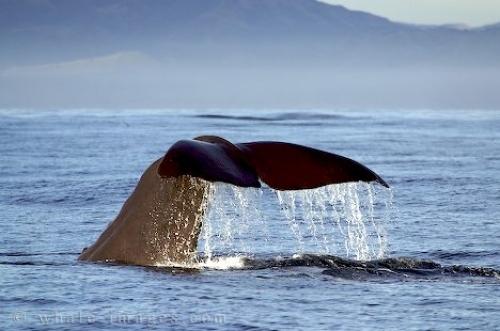 An organ which fills most of a Sperm Whales massive head and contains spermaceti oil is how the whales got its name. It is thought that the spermaceti oil assists the sperm whale to control buoyancy. Sperm whales are the most widely represented whales in toys and drawings probably because of the large head. This pictures is number 4 in this dive series.